This light and airy apartment offers a relaxing, hassle free lifestyle only moments from CBD, Newcastle Beach and Ocean baths. Enjoy the level 9 location that affords stunning northerly views across the harbour, ocean and CBD. Easy walk to local attractions. * Like new level 9 apartment offering stunning northerly views. * Views over harbour and ocean, across CBD to mountains. * Ideal CBD location a short walk to beach, harbour and ocean baths. * Walking distance to the proposed new light rail system. * North facing living area opens to balcony, security parking space. * Main bedroom has walk in robe, built ins to 2nd bedroom. * Current tenants keen to stay, however vacant possession is available. 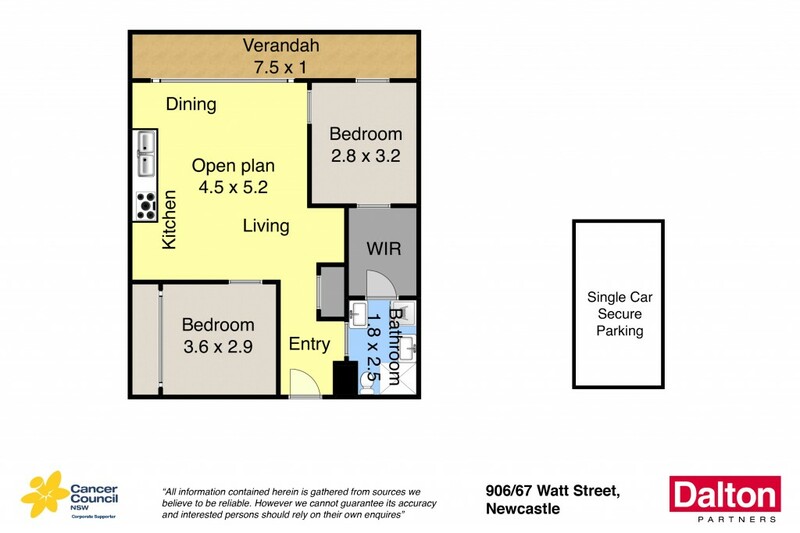 * Be part of Newcastle's renewal momentum in the CBD.